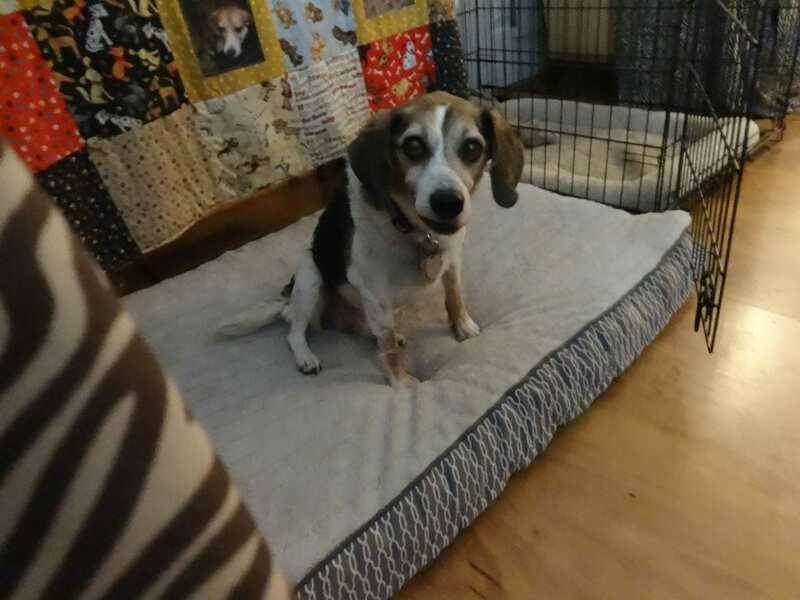 Julie lives in Raleigh, NC and has been fostering beagles since 2010! “My reasons for fostering dogs are simple. Saving a life is paramount. Nurturing the little beagle babies and getting them ready to be “good dogs” for their forever families is actually fun. I have learned to accept that saying farewell will always be hard but staying in touch with their families and seeing how much they are loved takes away the pain. They are worth it!!!! It is hard to find a favorite story of my foster dogs. They are all their own little “person” and present different challenges and many comical moments. One hates a camera and can hear the tiny click when I turn it on from another room. The only shots I can get are of her rear end as she is running from it. Another will sit and smile as if they know their image is about to be shared with many good people who could become the family they are dreaming of. Watching the troubled ones blossom into happy state is perhaps the most rewarding. Each one enters my home a bit unsure of what is going on but never have I had one leave that did so afraid. The secret is matching them up with the right people for their individual personality. I continue to love them all and will forever. This is the best feeling ever. My motivation is easy to explain. They all deserve to live and to have good lives. Wish we could save them all. Thank you Julie for opening your heart and home and saving these beagles!